Born in 1965 Ian, the son of Barnesbarian legendary mile cruncher and ex President Fred Norris followed in his father’s footsteps into cycling with the Barnesbury CC. At the young tender age of 12 years old Ian was taken on an epic summer ride... a ride of 125 miles in a day to Jedburgh and back by his dad! After this initiation, Ian was somewhat put off from cycling, never seriously touching his bike until in his early teens, when the cycling bug was rekindled by chance. Whilst delivering a spare inner tube to his dad, who was stuck in Ponteland returning from another epic ride, Ian was overtaken by a cyclist, Having been easily past stuck with Ian as he disliked the feeling and he decided to give cycling another go so perhaps he didn’t get overtaken as easily next time. Ian slowly developed a hardened mindset thanks to his dad, Harvey Taylor and Cliffy Shepherd, other members of the club on some long, hard, cold rides – the sort of rides that harden souls and develop inner strength. 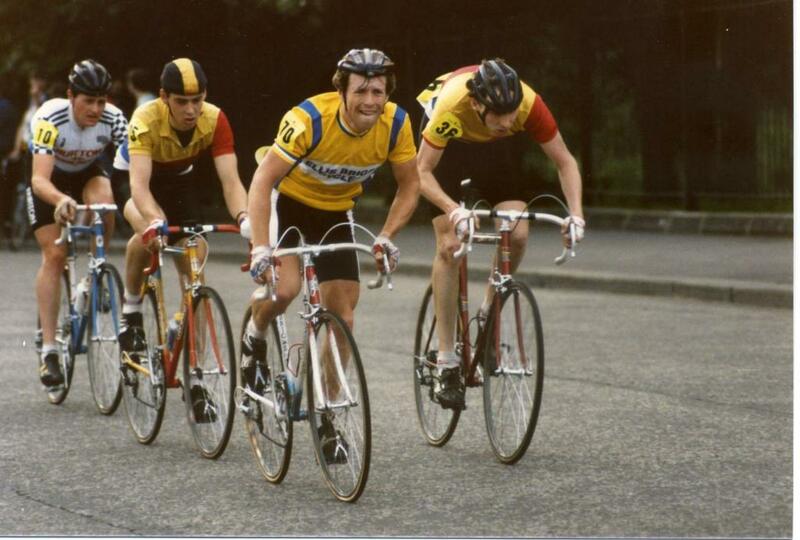 In 1981 the Barnesbury had a group of youth riders which Ian was very much a part of. This group included Ian “Franky” Vaughan, Paul Bell, Gordon Brown, and Glen & Gail Turnbull. Ian trained regularly with this group, particularly Franky and became very close to him (when Gail and Franky married Ian was Frankie’s best man). In 1986 Ian began to develop a winning formula, having raced from Juvenile and Junior with what Ian describes as “very limited success”. Aged 21 years old in his first “serious” full racing season Ian won a number of local road races, including the prestigious North East Road Race Divisional Championships, he was a very creditable 7th overall in the International Girvan 3 day stage race and won the Tyneside Vagabond 60 mile MTT and was 2nd in the Barnesbury’s own Border Road Race. He also took part in the STAR Trophy race series (the then top races around the country including the Tour of Cotswolds where Ian finished 2nd, Tour of Essex 15th, Isle of Man, Lincoln GP, Bristol GP and the Tour of the Peaks). 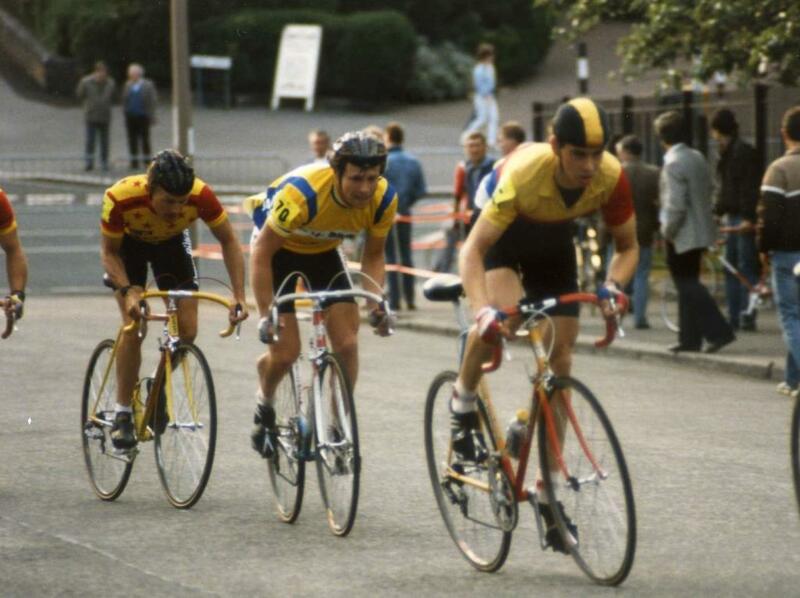 Ian decided to enter the National Road Race Championships that year and finished a very creditable 17th to Deno Davie in the amateur National Road Race Championship. These high profile results were indeed reward for the hard work Ian was putting in on the bike. However, it also leads to an International call up to the young promising Great Britain squad for the Tour of Malaga. Sharing a room with hard man Wayne Randle, others in the squad included Chris Lillywhite (future Milk Race winner), Daryl Webster (multiple RTTC winner), Nigel Bishop, Glen Sword and Ian Smith, all of whom were very classy riders. Ian finished in the top 30 and the team won the team time trial stage to cap a memorable debut International. This whetted his International racing appetite, Ian went on and raced in France for part of 1986, and in 1987 decided to go back to France to race. Having not done enough training to meet the step up during the winter, Ian described 1987 as “a wasted year”, getting injured early season he returned to the Tour of Malaga where Ian didn’t manage to finish, however his form picked up after the injury and he placed 5th in the last stage of the Tour of Cadiz, with a creditable top 30 overall. The GB team that year also included Finlay Gentleman, Nigel Bishop, Martin Webster, Mike Twelves, Martin Geddis and Wayne Randle. A few minor placings followed in some of the French amateur Classics. Injury and a lack of moral meant Ian decided that he wasn’t cut out for the very top and realised how far he was from them. Realising this, having given it a go Ian returned back to England in the July of 1987 and was back winning the local events. 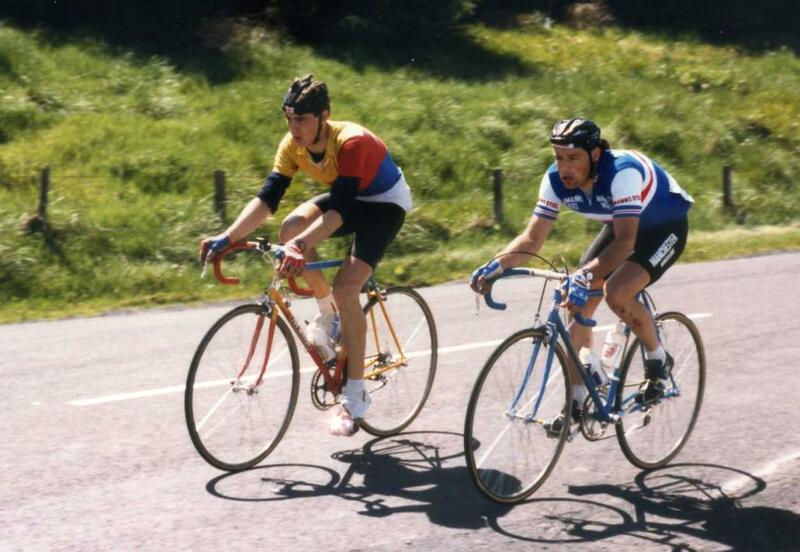 In 1990 Ian was training well for the Tyneside Vags MTT and was 2nd the week before the race in the Skeleton 2 day; however during the MTT Ian’s best friend Ian Vaughan - “Franky” as he was affectionately known to his mates was in collision with a car and died during the event. This incident not only shook Frankie’s family and friends including Ian, but also the whole of the Barnesbury membership and the wider cycling community in the north east. Ian unsurprisingly lost his passion for cycling and deciding to channel his competitive spirit into running - completing the Great North Run in 1 hour 27 minutes! Ian still to this day misses Franky and lays flowers every Christmas near the spot he died. After this tragedy Ian left the Barnesbury. In 1991 Ian got married, and in 1994 he had his first child Samuel, followed in 1997 by Katie. 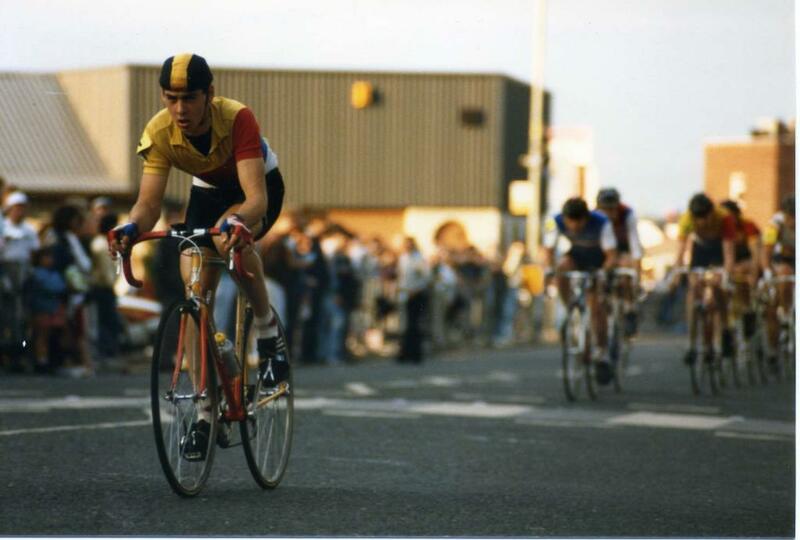 In 1991 Ian didn’t do any cycling and just ran, but got back on the bike again in 1992, joining Gosforth RC. Wins followed in local events and a change of team to the Ridley helped secure a 4th overall in Easter 4 day, plus wins in the Ashington RR and other events. Ian was also a close 2nd in the North East Divisional Road Race and a 2nd to Chris Newton in the Barnesbury’s Hilly 21. Family however came first and cycling was the hobby, limits on training time meant Ian’s previous achievements were never reached. In 1998 he managed a 1:31 for the Great North Run and he rejoined the Barnesbury in 2000 winning the Ballantyne Trophy and Jackson Trophy. This success got Ian interested again in racing, however with a lack of other riders of a similar ability in the club at that time Ian decided to join Activ Cycles in 2010-2012. Wins again soon followed in local events and these continued when Ian joined Bluemilk RT in 2013. Having turned 50 years young in October 2014, Ian still races and is currently still with local club Blumilk RT. Ian would like to thank Barnesbury CC for the continued encouragement, friendliness and shared passions in developing not only himself as a rider, but also many many others through the years. From the above passage it hopefully gives an insight into some of the great times Ian has had on the bike, and some of the tragedy that can happen in life. A true Barnesbarian legend.